“Size wise, the main story mission is about the same length. Open world content? **** ton more. Way more, it’s absurd. When you ask me what do you say to fans who are worried about there not being enough content on the disc, I say you’re not ready. You have no idea. The other day I was playing the build, I was supposed to be reviewing dialogue in different missions, right? I’m on this path, and I stop and go, ‘Oh, there’s this open world thing I want to go and do!’ It’s four hours later, I’ve only played three missions in like four hours. It just pulls you in with all this open world content for you to explore and do, and there’s so much of it. The developer recently announced plans for a robust and long-lasting amount of downloadable add-ons for the game, which naturally worried some fans who suspected that content from the main game would be cut and put up for sale. As it turns out, Jaros revealed that much of the DLC is being developed by other companies such as High Voltage Software, with Volition focusing on making the main experience more robust. 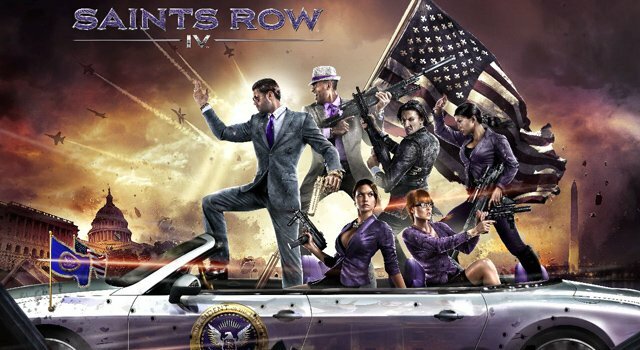 Saints Row IV is currently scheduled for an August 20 North American release. We’ll keep you updated as more details regarding the game roll out.